Provisional merit list for UP NEET counselling 2018 has been released on the official website. Document verification process begins from 26 June. 26 June 2018: Directorate of Medical Education & Training, Uttar Pradesh has uploaded the provisional merit list for state quota of UP NEET 2018 counselling. Candidates can check out the provisional merit list at the official website. 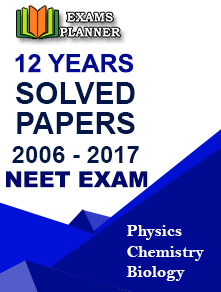 The merit list starts with NEET 2018 All India Rank 60 and ends at NEET 2018 All India Rank 757513. Here are the steps to check the provisional list. How to check Provisional Merit List for UP NEET 2018 Counselling? Go to the official UP NEET website – http://updgme.in/. Scroll down to ‘Counselling & Allotment’ section. Click on ‘View All’ option. The state merit list will open. Find your result through your name, roll number, or NEET rank. The last date for document verification and security deposit for the UP NEET 2018 counselling is 30 June 2018. The process of choice filling and choice locking will be from 2nd to 4th July. The first allotment list will be released on 5th July 2018.